Distribute documents in advance, online or offline, to everyone who will be attending the meeting to analyze the results. In presenting don’t narrate or read what is written on the slides, the information that is on the screen is complementary to their analysis. 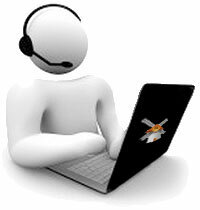 Put these various details about the operation of the service desk in a way that the customer understands. Make sure the information makes sense not only because you understand the data, but because you have experienced the problem and the result presented.